If you have ever researched a Disney World vacation, the first thing you will notice is the amount of money you are about to spend. It is no secret, Disney World is an expensive vacation and one that most of us need to save up for. So, with that in mind… there are a few tricks and tips that I have discovered to help with the financial burden. Tip 1: Choose where you stay according to your budget. Disney World has their resorts listed into categories with Value being the most cost friendly and Deluxe being the most expensive. There are lots of factors to consider when choosing where to stay. If you’re questioning maybe staying off property, I’d advise against that because of the perks of staying on property, but that is for another post. So, assuming you are staying on property if you are trying to save some extra money, going with a value resort might be something you look into. However, many of the less expensive rooms have a 4 guests or less room capacity, so this doesn’t work for my family. If you are like us, you’ll have to stay in a suite, which is a little more expensive. If you do have a large family and will have to get a suite, check out the Cabins at Fort Wilderness. They are not too much more expensive than the value suites and are spacious enough so that your large family doesn’t feel cramped. Tip 2: Buy souvenirs before you go. If you plan ahead, there are lots of souvenirs you can bring with you that will cost you less than buying something in the park. For example, we always buy our autograph books before we go. If you buy them from the Disney Store they will be priced the same as they are at the park, it would still be more convenient of course to already have it. However, amazon has plenty of less expensive options and a variety of different styles and characters. For example, these Frozen themed books come in a set of 2, one of Elsa and one of Olaf for only $6.29 http://amzn.to/2Ee8Y8Y . If you are planning on doing any night time activities, the light up toys will be in full force. The dollar store has tons of glow sticks that the kids will love. You could also check out amazon for light up toys and wands. You already know what it’s like when all the other kids have toys around you and your kid sees them…. desperate parents all over the world have shoveled out ridiculous money to just calm the storm. So come prepared! I have also seen lots of people use the penny smashing machines as souvenirs. Great idea for an inexpensive keepsake. You can also celebrate your birthday 6 months before or 6 months after at Disney World (so… all year lol). If you tell the front desk you are celebrating a birthday they will give you a free birthday badge. When you wear it, you might just luck into a free cupcake or dessert. Who knows, Disney is full of surprises! One last thing, did you know if you go to a local Disney Store before they open, they choose a child each day to help open the store! It’s adorable of course, and also their “reward” for opening the store is a Mickey Mouse lanyard… for free! The lanyards are perfect for the pins that people collect and trade. Tip 3: To Dining plan or not to Dining plan… that is the question. Every single time we have gone to Disney I go back and forth about the Dining plan. The Dining plans are a great deal if your family is planning to eat out a lot. They also are cost efficient if your kids are older and eat more. The last few years, however, we have opted against a Dining plan because it was more cost efficient for us. For one, we had a kitchen in our cabin so I could make breakfast (lol, “make” meaning cereal) and we have little ones who still nap, so most days we ate lunch there too. We bring snacks and drinks into the park so you don’t need to buy them there and our kids were young enough still to share meals most of the time during Dinner. So the Dining plan really wouldn’t be cost efficient for us. My advice would be to check out the restaurants you are planning to visit and look at their menus. Estimate the cost and then compare to the different plans. You might be surprised. If you do need to order groceries, I highly recommend checking out GardenGrocer.com. That is who I use every time. They are efficient, have lots of options and even deliver beer and wine! Tip 4: Free fun sometimes is the best fun! By staying on Disney Property, you are already going to have a good time… without ever stepping into a park. The resorts all have pools, most with slides and splash areas for the kids. There are even playgrounds and many other exciting things to see and do at each resort. Each resort is different and has different options. So check out what yours has to offer, you may even want to spend a whole day just hanging out at your resort. That could save you a day you didn’t need to purchase a park ticket. Also, Disney Springs is a fun shopping area full of restaurants, shops and entertainment. You don’t need a park ticket to go there, but you could spend an evening walking around window shopping and enjoying the Disney Magic. Tip 5: Keep things in perspective. Disney World is magical on its own. Your kids are going to have fun whether you stay in a value resort or a deluxe resort; or if you plan the most expensive dinners or just eat at quick service restaurants. Don’t think you have to spend all the extra money on activities to have a good time. The best thing about Disney is the quality time you will have with your family. So don’t sweat the small stuff and just do what you feel comfortable with financially. 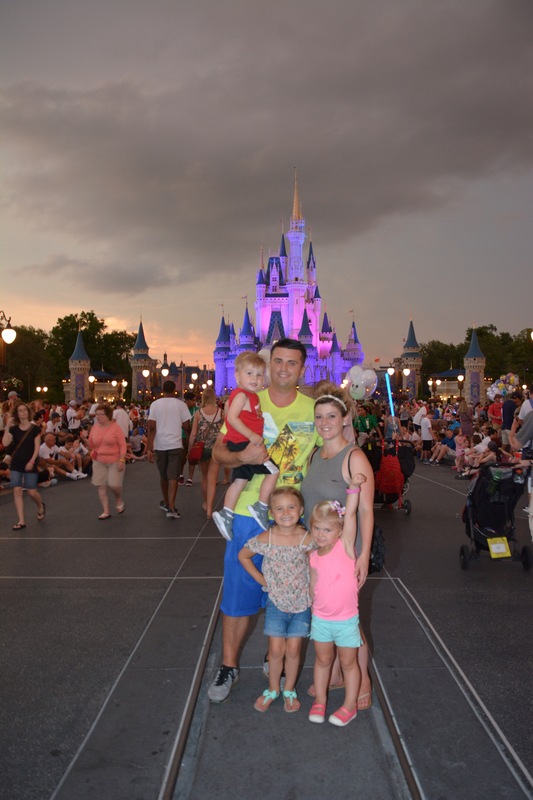 Previous Previous post: When is the perfect time to take your kids to Disney?